The new optional alloy wheels are available officially at Royal Enfield dealerships pan India and can be fitted on the Classic and Thunderbird range of motorcycles. Chennai-based motorcycle maker, Royal Enfield has added alloy wheels as an optional accessory for the Classic and Thunderbird range of motorcycles. The alloy wheels are priced at ₹ 10,000 for a pair (excluding installation charges) and can be purchased at any of the brand's 800+ dealerships across the country. 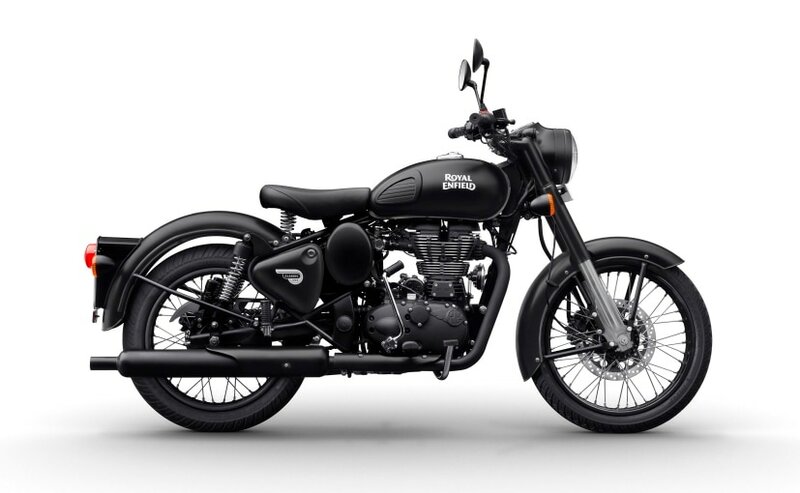 The black with chrome finished nine-spoke alloy wheels are the same ones that are already offered on the Thunderbird X series, and will seamlessly integrate with the original tyres, tubes and brakes, replacing the stock spoked wheels that are offered with all Royal Enfield offerings. 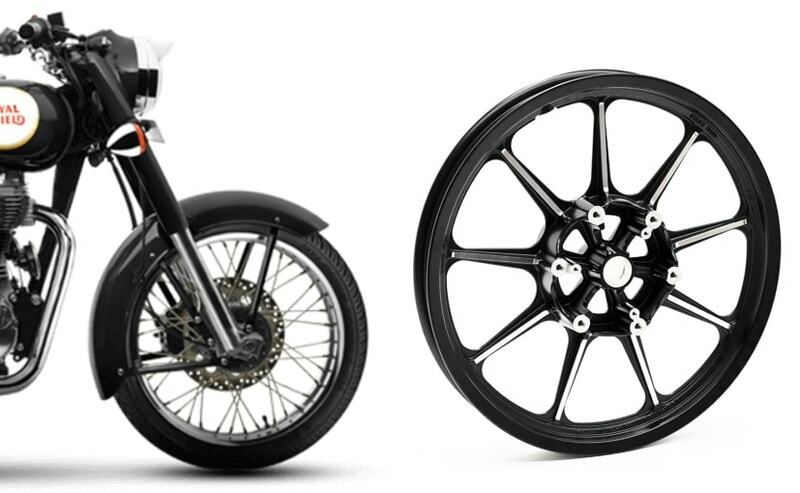 Compatible with the Royal Enfield Classic 350 and 500, as well as the Thunderbird 350 and 500, the front alloy wheel measures at 19-inch while the rear is an 18-inch unit. 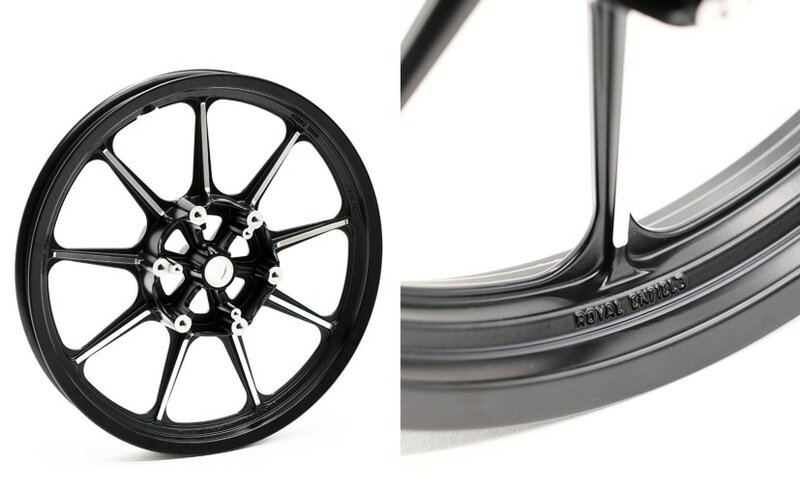 The alloys come with a warranty period of two years, and the bike maker's lists the installation time at 105 minutes. The new alloy wheels not only add to the visual appeal of the motorcycle but also bring the convenience of tubeless tyres, which are easier to repair, in case of a puncture. Given the fact that Royal Enfield motorcycles tend to be one of the most customisable motorcycles out there, offering factory-backed accessories is a smart move from the manufacturer. This should also help reduce the use of substandard alloys that are available in the market that tend to break easily with a simple bump or thud. It's a safety risk afterall, putting the rider and pillion's life in danger. In addition, Royal Enfield is expected to roll out alloy wheel options for the Interceptor 650 as well in the coming weeks. The alloy could sport a different design while prices are likely to be in the same vicinity. Both the front and rear wheels are 18-inch spoked-units on the Interceptor 650 and Continental GT 650, and come shod with Pirelli tyres.